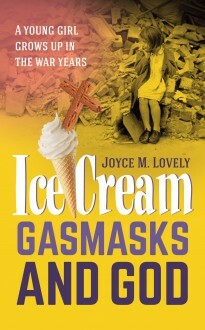 Joyce Lovely grew up in Liverpool during World War 2, her family narrowly surviving a blitz which severely damaged their home and killed two thousand of their fellow Liverpudlians in a single week. She and her young friends dreamed of peace and safety, but not as much as they dreamed about ice cream and chocolate and later, handsome boyfriends. As a teenager in the post-war years she found herself pursued by romantic suitors. Her choice of husband was ultimately guided by her early discovery of God and faith, which was how she found herself a newly-married woman struggling to run her first home in the wilds of the Shetland Isles, trying to make ends meet on the slim pay of her minister husband and the kindness of the islanders. A charming memoir of a young woman’s childhood and coming of age.